offers, wood burning news and more. 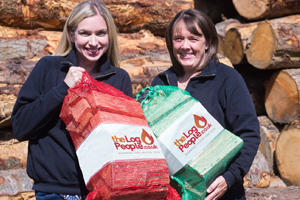 The Log People Ltd is a family-run sawmilling and firewood business based in Oswestry, Shropshire. We deliver logs to homes and businesses across Merseyside, North Wales and Shropshire.